Eric Jiani was born on September 14th 1957 in London, UK. Despite being diagnosed with borderline autism as a child, Eric was given a 'normal' education at the British School, Rio de Janeiro, Brazil and Downside Abbey in the UK. Eric lived in both countries, his mother being Brazilian and his father English. 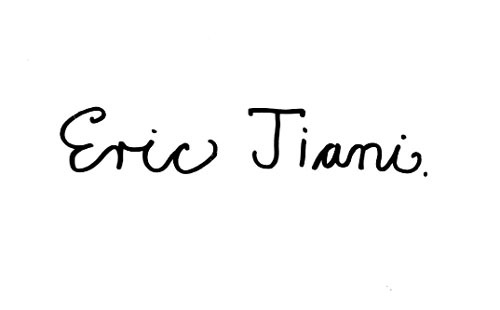 Eric is therefore fluent in both Portuguese and English. (book illustration) and currently is a Music Sessions Worker. Eric also plays his own compositions on the guitar and writes. Eric describes himself as a self-taught artist and says that his work is semi- autobiographical.